Why Have a Home Inventory? Home > Vertex42 Blog > Tools for Life > Planning > Why Have a Home Inventory? If you closed your eyes right now, could you list off every single item in your home that you own? If you’re like most of us, you can't. Having a familiarity with your possessions is a way to help you keep track of your personal property and be organized. More importantly, having a home inventory will help you PROTECT your belongings. Most of us have items that are special to us, but when it comes to financial protection of your personal property, ALL items should be important. This is true regardless of whether you own a home or rent. Insurance companies like to see your personal property documented. Having some professional experience with insurance, I’ve seen several times where people don’t take the time to document the stuff they have and then...BOOM...tragedy strikes, they have an accident and have to file a claim. It is much more challenging to try and track your items AFTER a loss. Do you think you can remember every item you own after a fire or theft? Under the best of circumstances, that would be a very challenging task. Most people seem to think tragedy will never befall them. Hopefully, they are right, but one never knows. Protecting your assets should be a proactive (not reactive) experience. This is the idea behind insurance--backup in case of an unfortunate “rainy day” experience. Taking inventory of your personal items can seem overwhelming. After all, who has time to list every household item, right? Imagine having to replace all of the items you use such as couches, jewelry, clothes, books, or dishes, and this may give you the motivation to carry out the process. If you are willing to devote some time now, it can save you in the long run. It may take you as long as a few hours, or perhaps an afternoon. You can do it all at once or divide the project up as time allows, possibly doing one or two rooms at a time. Home Inventory Form for Excel: Using this Home Inventory Spreadsheet is helpful because it will give you an idea of what information should be provided. Insurance companies would like everything recorded down to the last sock and salt shaker, but it will be up to you how detailed you want to be. Large and/or expensive items should definitely be included. Items like clothes might not seem like too much individually, but if you lose large quantities it can add up quickly. As you can see, the spreadsheet allows you to provide a lot of good (and needed) detail. Remember to include model and serial numbers if possible. The date of purchase is important, as well as the condition of the item--especially items prone to theft. Save the inventory spreadsheet on your computer and keep it handy, allowing future purchases to be added to the list. Photographs: Take clear, concise pictures of your items and what you want conveyed about them. This helps enforce the description and condition of your items. A useful feature on this Home Inventory form is the ability to record the filenames of your photos. Organize and name the photos according to the description and other information provided for the item. Save your photos in the same directory, or sub-directory as the spreadsheet. 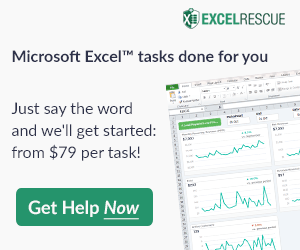 If you know how to do it, you can even turn the filenames into links within Excel so that you can click on the filename to open up the photo. If you don’t know where to start with the pictures, just begin on one side of the home and work your way to the other. Take pictures of the contents of dressers, closets, and cabinets, as well as jewelry boxes. Even if all you did was take photos, that would be better than nothing. Video: This may seem redundant because you are already adding photographs, but for insurance purposes, there can never be too many sources for documentation. You can do a quick run through of your home with a video camera. It is a good idea to point out locations, key items or collections. This is a great way to backup your inventory with physical proof along with personalized narration. Receipts: I don’t think most people think that one day an item might be stolen or destroyed when they make a purchase. This may be why some don’t hold onto the receipts. Make a mental note: save and attach any receipts you might have (or make copies) to a print-out of your Home Inventory. Even if you don’t have receipts for everything, try and hold onto the ones for the more expensive or important goods. This helps you keep good records and helps insurance companies compare prices of the items. Antiques, family heirlooms, one of a kind items or jewelry: Sometimes some of the most important items to us are the hardest to replace. Make sure and point out unique items. Know that items like these are very challenging to replace and you will more likely be given a monetary replacement if you have proof of value. Consult an expert to get the item appraised and get it in writing. Take safety precautions for these special items and put them in a safe place. NOTE: On certain items like antiques or collections (coins, stamps, guns), most policies have a specified minimum limit, unless you get an endorsement on them (in which case the items would get additional coverage). Items need to be appraised to get a known amount. Be Honest: We probably tend to view our property as more valuable than it really is, but be honest when completing your home inventory sheet. If you can't remember the year of purchase, leave it blank or try to recall to the best of your ability. Don't try and make the item seem more new than it really is. Don't rank everything "excellent." If it has dings or scratches or you've had it a while, rank it accordingly. Remember, unless you pay for a Replacement Cost endorsement on your policy, personal property will depreciate over time. There is an "estimated value" column on this worksheet, but insurance companies have their own methods for calculating depreciation. Safe Keeping: After you've gathered the information, put the Home Inventory and accompanying photos, videos, and receipts in a safe place. Making multiple copies is a great idea. Put them in a fireproof safe and/or a safety deposit box. Only share the information with trusted sources. Be careful about where you store the electronic copies of your photographs, video, and inventory. You don't want a picture of your jewelry showing up on the internet or a list of the value of all your property being downloaded by your local bandits. Put a copy of the information on a small flash drive and put the flash drive in your safety deposit box (a practice you ought to be considering anywhere for saving a backup of your other electronic files). Store a copy of your inventory somewhere secure outside your home (unless you really want to trust your fireproof safe). You never know when something bad might happen. Most insurance experts will tell you that taking these steps will move the claims process ahead in a more efficient manner. Taking the time to protect your assets will benefit your household regardless of whether tragedy strikes or not.